An exhaustive look at all the information you need to know in order to live a healthy life, Encyclopedia of Losing Weight is Ryan Rossâ€™s unflinching examination of the diet industry in America, covering all the latest fads, the reasons that they may seem to work, and the process you should follow when deciding on a diet that works for you personally. 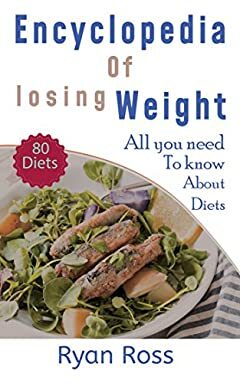 Because no diet is one-size-fits-all, Encyclopedia of Losing Weight is a more effective look at dieting, helping you to figure out how your life, your schedule, and your comfort zone determine your success as you attempt to lose weight. Should you go vegetarian? Low-carb? Low-fat? Do you need a detox? Ryan Ross answers all these questions, and many more, examining groups and then subgroups of diets as he works to get to the bottom of it all. This is your life; this is your body. Ryan is here to help you do things right!